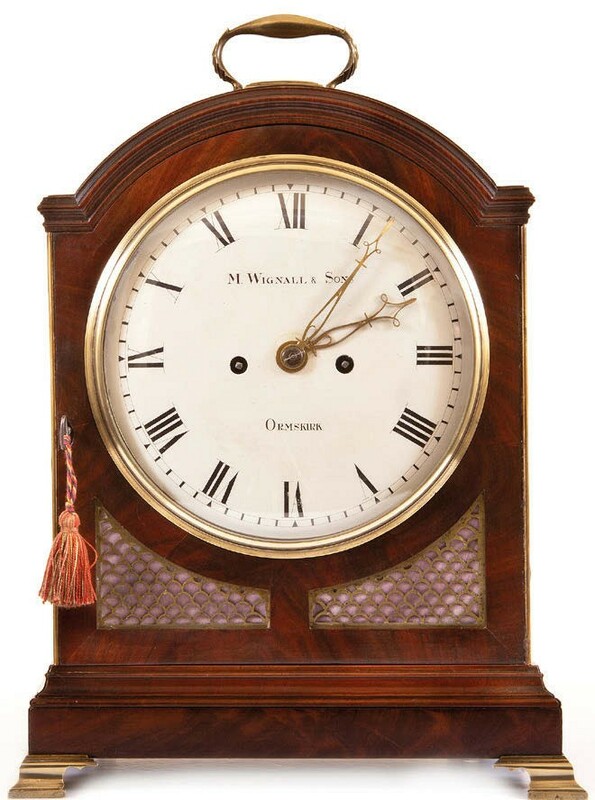 A pad top bracket clock signed Mary Wignall and Sons Ormskirk is included at The Arley Hall Antiques & Fine Art Fair, priced at £2950 from Lancaster House Antiques. Wignall took over the running of her husband’s business on his death in 1815 with her sons George and Ellis. The signature is to a circular dial fronting an eight-day movement striking the hours on a bell. The clock, right, has a flamed mahogany case with fish scale frets to the sides and is available from Lancaster House Antiques for £2950. The fair runs from April 26-28 at the stately home near Cheshire. Paintings, furniture, silver, rugs and much more are available at prices from £20 up to £30,000. As well as exploring the estate, which has been in the same family for more than 500 years, visitors can buy refreshments in the Tudor Barn. Other exhibitors include Post Fine Art, jewellery specialist Saul Greenstein and Malcolm Eglin Antiques.